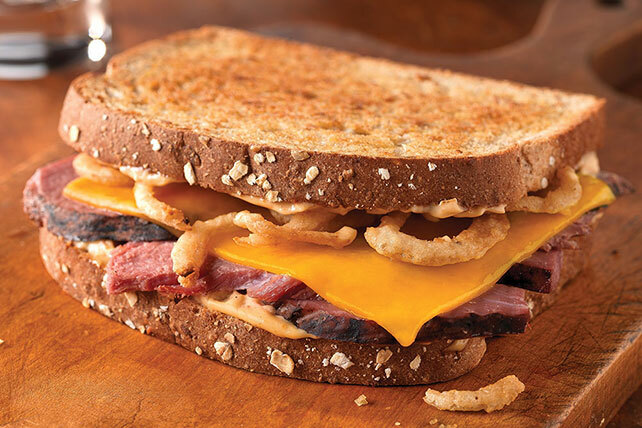 Here’s why you’re counting the minutes to your lunchtime sandwich: smoky chipotle aioli, crispy onions, savory roast beef and sharp cheddar. Spread bread slices with aioli; fill with all remaining ingredients except butter. Prepare using 6 slices OSCAR MAYER Deli Fresh Slow Roasted Roast Beef.